HARTWICK - Ferdinand S. Thering, a life-long area resident who will be remembered for his dedication to farming, rural life and the Town of Hartwick, passed away in the presence of his family Saturday afternoon, September 21, 2013, in the family homestead at Rolling Acres Farm on Thering Road. Ferd, as he was known by just about everyone, was 86. Born February 12, 1927, in Schenevus, he was a son of Henry and Clara (Gartung) Thering. In his youth he attended a parochial school in New York City and lived for a time in his father's native Germany. 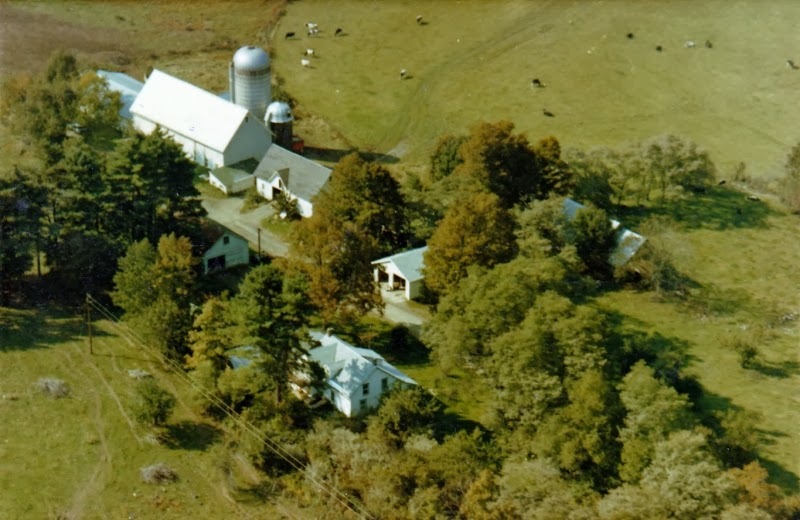 In 1941 Ferd's father purchased what became Rolling Acres Farm in the Town of Hartwick. After moving with his family to the farm, Ferd attended Hartwick High School and graduated with the Class of 1944. A basketball player during his school years he was known to finish up chores on the farm and then run from there to the school to play ball with his friends and schoolmates. On June 14, 1952, Ferd married the former Marjorie Bachanas in a ceremony at St. Mary's "Our Lady of the Lake" Roman Catholic Church in Cooperstown, where Fr. Patrick J. Whelan was the presiding pastor. Ferd and Marge then lived on and worked the family farm, which later earned the distinction of being a 50-year Dairylea Cooperative Family Farm. For many years, Ferd was also an active member of the Farm Bureau. Ferd truly loved Hartwick, and for many years served his community well in several capacities. For over three decades he served as chairman of the Town Planning Board, and was the sole assessor for the Town of Hartwick, a role he filled especially well, and one in which he will be remembered for the fairness in which he conducted his duties. Much of Ferd's success in being able to talk to just about anyone on any subject, and which helped him become so good at what he did for area towns, came from his successful completion in 1969 of the Dale Carnegie Course in Effective Speaking and Human Relations, an accomplishment of which he was justifiably proud. In 1973, Ferd became a State Certified Assessor, and served at various times as the Tax Assessor for the Towns of Hartwick, Pittsfield, and Otsego, as well as for the Village of Cooperstown. Through the years he attended and successfully completed many courses in assessing and appraising at Cornell University, the most important of which he took in 1978. In 1983 he obtained status as a professional assessor, and in 1987 was granted the designation of Stated Certified Assessor Professional by the State of New York State Board of Equalization and Assessment. He also attended many training sessions of the Conference on Assessment Administration sponsored by the New York State Assessors' Association, Inc. (of which he was a member) including those on campground appraisal, one family home appraisal, advanced farm appraisal and assessment administration. The number of certificates he earned through the years could easily fill the walls in one room-he was truly dedicated to his role as an assessor. In 1992, Ferd was the recipient of a Certificate of Appreciation Award from the Otsego County Assessors' Association - which he served as president of for twenty years - the text of which best sums up his loyalty to the profession: "His efforts of providing the assistance and support to the assessment community in the County of Otsego are to be highly commended." For twenty years, Ferd sat on the board of the Otsego Rural Housing Association, during which time he rarely missed a meeting. It has been said that he always voiced his opinion and never missed a chance for an argument. In his spare time, he was an avid bowler, playing with leagues in Cooperstown and Milford. An active Rotarian, Ferd joined the Cooperstown Rotary Club in May of 1982. A Paul Harris Fellow, he held a perfect attendance record for 30 years until his failing health and inability to attend meetings compelled the club to make him an Honorary Member just this past year. Throughout his entire life, which had its challenges and setbacks and its ups and downs, Ferd always persevered. Perhaps his life and character can best be summed up by stating that he was not a stubborn man - he was determined. Ferd is survived by his wife of 61 years, Marjorie, of Hartwick; their three children, Henry J. Thering of Hartwick, Betty Staffin and her husband, Mike, of Fly Creek, and Tim Thering of Jupiter, Florida; four grandchildren, Jacob Staffin and his fiancé, Ashley Davidson, John Thering and his wife, Stacie, Noah Thering, and Autumn Thering; five great grandchildren, Violet, Josephine, Alexander, Camron, and Xavier; one sister, Margaret Balli and her husband, Eddie, of West Virginia; one brother, Henry E. Thering of Indiana; many nieces and nephews; and several cousins, including Ferdinand G. Thering, and others in Canada. Ferd is also survived by his many friends and caregivers. Of special note, Anita Briggs Jones (husband, Butch) was an extra special friend, neighbor and political ally, and without his caregivers Mary, Patrick, Buddy and Shawn, Ferd could never have been able to stay in his beloved home. He was predeceased by his mother, Clara, who died May 30, 1968; his father, Henry Thering, who died October 17, 1984; one granddaughter, Kimberly Sue Thering who died March 9, 2002; and a sister-in-law, Charlotte Thering. Friends and family are invited to call and pay their respects at the Connell, Dow & Deysenroth Funeral Home in Cooperstown from 4-7 p.m. on Friday, September 27, 2013. A graveside service will be offered at the Hartwick Cemetery at 11 a.m. on Saturday, September 28, 2013, with Fr. John P. Rosson, pastor of St. Mary's "Our Lady of the Lake" Roman Catholic Church in Cooperstown, officiating. Immediately following the service at the cemetery, all those attending are invited to the St. Mary's Parish Center on Elm Street in Cooperstown for a time of refreshment and fellowship. It has been requested that those attending this repast please park in the First Baptist Church of Cooperstown parking lot, which is adjacent to the Parish Center. With respect and gratitude for the many visits to the Thering homestead over the years, expressions of sympathy in the form of memorial gifts may be made to the Hartwick Emergency Squad, P.O. Box 208, Hartwick, NY 13348. And even though their services were only needed for a day, the Thering family truly appreciates and suggests memorial gifts to Catskill Area Hospice and Palliative Care, 1 Birchwood Drive, Oneonta, NY 13820.